Year Three BA (Hons) Graphic Communication student Curtis Page has won the EIZO Colour award, a new competition run for the first time this year, open to all students studying Photography, Product Design , Film and Moving Image and Graphic Design across the UK. The award was created by EIZO Global, a Visual Technology company who manufacturers high-end display products, in conjunction with design communication studio ‘Peter and Paul’. 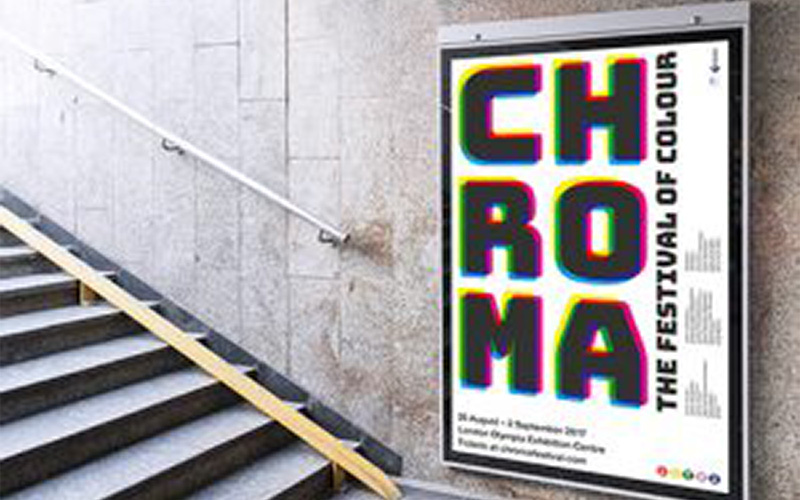 The competition brief, based on ‘The Festival of Colour’ required Curtis to develop a fitting identity for the event and devise a media campaign to launch the event. This included the logo design / visual identity, a full-page press advertisement, billboard, bus-side poster, interior banners and exterior signage (as pictured). The prize offers Curtis a two-week work placement at Studio Dumbar, an International Design agency based in the Netherlands, as well as an EIZO ColorEdge CG monitor. “Winning the eizo award and having the opportunity to experience a highly influential design studio first hand is extremely exciting, I can’t wait to get started!” said Curtis, who will carry out the work placement during summer 2017.